This isn’t a report about UCI racing in Colorado, New Jersey, Maryland, or Canada. It’s coming from a place closer to my heart and in my backyard, southern California. 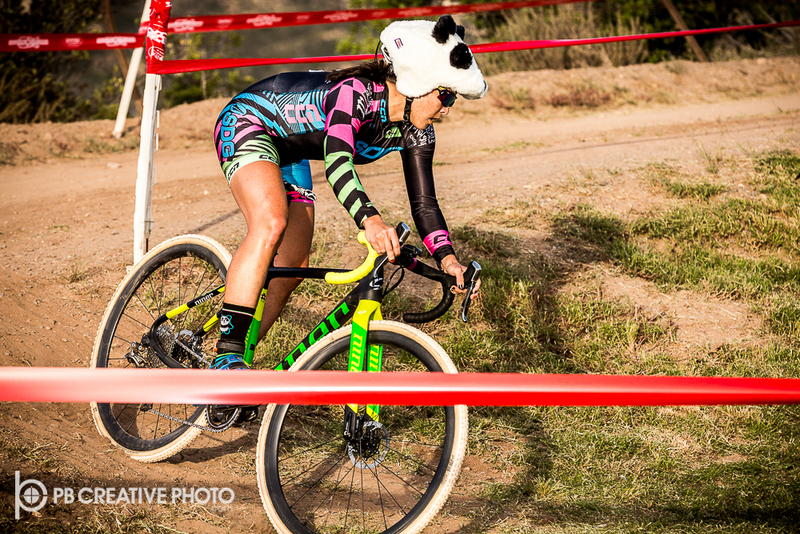 The SocalCross Prestige Series (SCPS) is where I started racing, and racing here always feels like playing around on bikes with a big family. Sunday, the 18th of October, I raced at Velocity Cross in Chino, California. It was a fun event and a good win. I had some great practice with my starts and cornering which was apparent in my lap splits. Saturday and Sunday, the 24th and 25th of October, were part of the annual Spookycross weekend in Irvine, California. 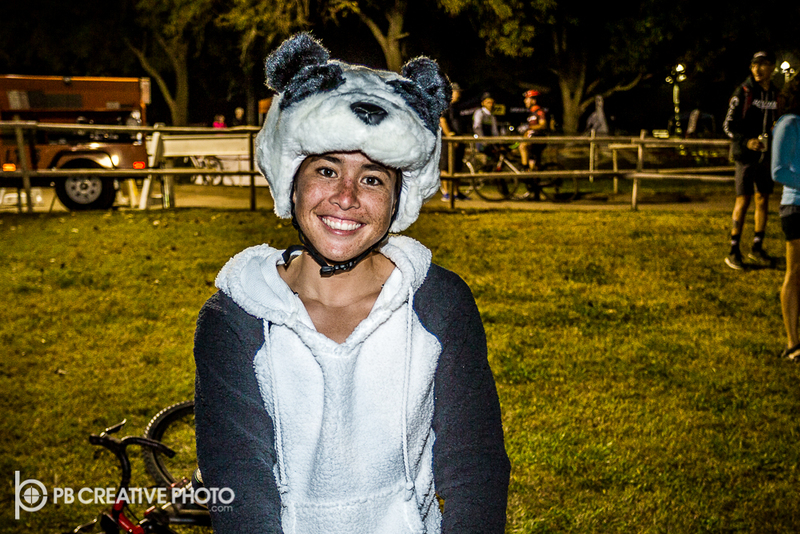 I raced Saturday evening’s event with a Panda helmet cover as part of the Spookycross Halloween Costume festivities. I really enjoyed being thirty minutes away from home and not taking my racing too seriously all the time. As much as I would have loved to be in Boulder, Jamesburg, Washington DC, or Winnipeg the past couple weekends, it was nice to get in a few good weeks of training, be racing within my financial means, see friends, and have my parents in attendance at home. Back in December 2012, I showed up to some cyclocross races at the Irvine venue with a road bike and a kit with the intention to go for a short ride with David Sheek after his races. Shortly after showing up, David told me I had no choice. He entered me into the race and I was going to ride his bike with the seatpost slammed down to make it fit. I objected, but he persisted, convincing me I would do well. Ever since that day I’ve been a part of SocalCross and have been thankful to David for throwing me into the race against my own will. I struggled with doing things outside my comfort zone and this cyclocross thing was way outside the normal bubble of this swimmer and triathlete. But, as it turns out I wasn’t too shabby and ended up riding and giggling my way onto my category’s podium. The races later in the day saw rain and mud while David ended up on the podium with some guy named Ryan Trebon (who was in town visiting family in California for the holidays). At the time I had no perception of that significance, or how to really gauge the day, but looking back on it makes me laugh. Two months later I was standing at Eva Badman Park in Louisville, Kentucky cheering on that Trebon guy in my favorite Team USA kit and standing in awe of the spectacular World Championships showdown. In the span of a few months I had fallen head over heals with the sport. David Sheek is still towing me around to races, always pushing me to be my best, and being my biggest supporter through it all. If you ask anyone who’s part of the cyclocross community, they’re bound to have a great story to tell you about that first day they ever entered a race and how their participation snowballed into a love affair with the sport. I’d love to hear some of your stories! They’re great pieces of inspiration. In the bigger picture, this is a thank-you to SocalCross and grassroots racing communities around the country. Thanks for giving people the opportunity to have a good time racing bikes on the weekend and be a part of the cyclocross family. You’re the foundation for growth and the reason people like me start dreaming big. This week is special as I returned to the park where I originally started racing and now I’m off to Ohio and Kentucky for my first chance to race on that World Championships course I viewed a couple years back. Up next: Cincy & Louisville UCI races! See you out there.